BOOM! Studios' Power Rangers universe is expanding yet again with a brand new graphic novel, and if you happen to be a Power Rangers In Space or Lost Galaxy fan you're going to be immensely happy. 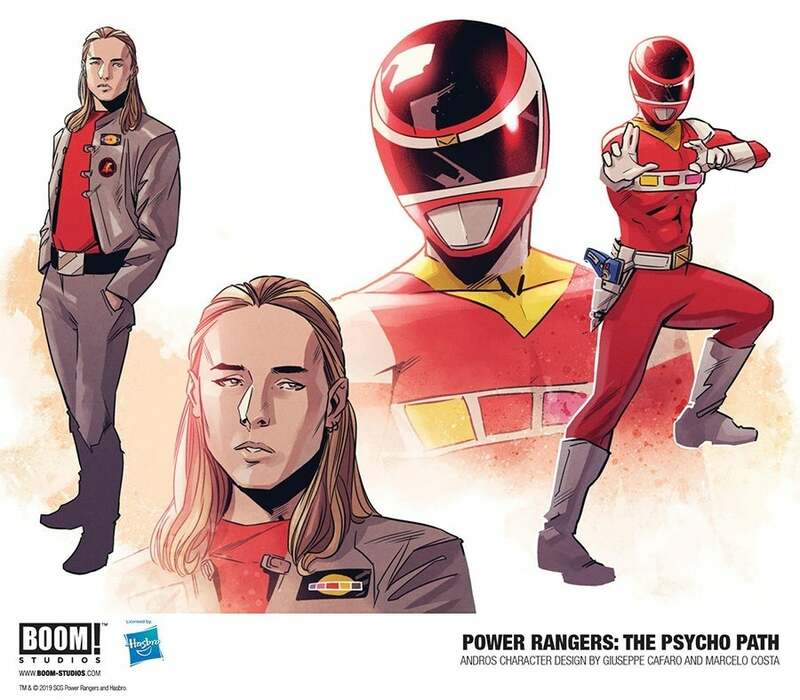 The new graphic novel is titled Saban's Power Rangers: The Psycho Path, and will bring one of the most popular groups of villains in Power Rangers history the Psycho Rangers back into the spotlight as Androsand Karone attempt to halt their comeback. Saban's Power Rangers: The Psyco Path is written by Paul Allor (Teenage Mutant Ninja Turtles) and drawn by Power Rangers: Soul of the Dragon artist Giuseppe Cafaro and colorist Marcelo Costa, boasting a cover by Diego Galindo, and you can check out that cover below. The new story will revolve around the mysterious return of the Psycho Rangers, and somehow they've become even more lethal. Thing is no one knows who brought them back or how, and it's up to Androsand Karone to find out. You can find the official description for the anticipated new story below. 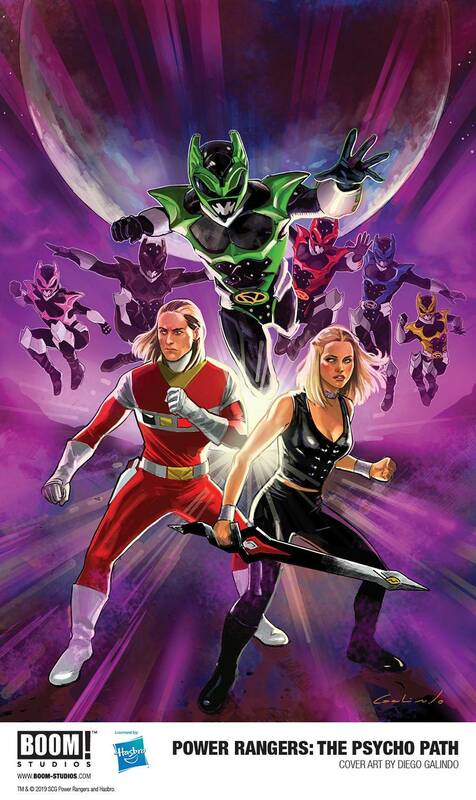 "In Saban's Power Rangers: The Psycho Path, the struggle between good and evil goes galactic as secret origins are revealed and lives are changed forever in this epic original graphic novel story that delves deep into the origins and motivations of the ultimate adversaries of the Power Rangers, the Psycho Rangers! They’re are faster, stronger, and smarter…but evil. Created by Karone when she was still the evil Astronema, the Psycho Rangers were programmed with overwhelming hate for all things Power Rangers. They were defeated at great personal cost by the Power Rangers, but now someone has brought them back and they are more murderous than ever before. Who brought these monstrous, twisted Rangers back, and why? And can Karone, the former Lost Galaxy Pink Ranger, and her brother Andros, the Red In Space Ranger, stop the Psychos before they bring the universe to its knees?" 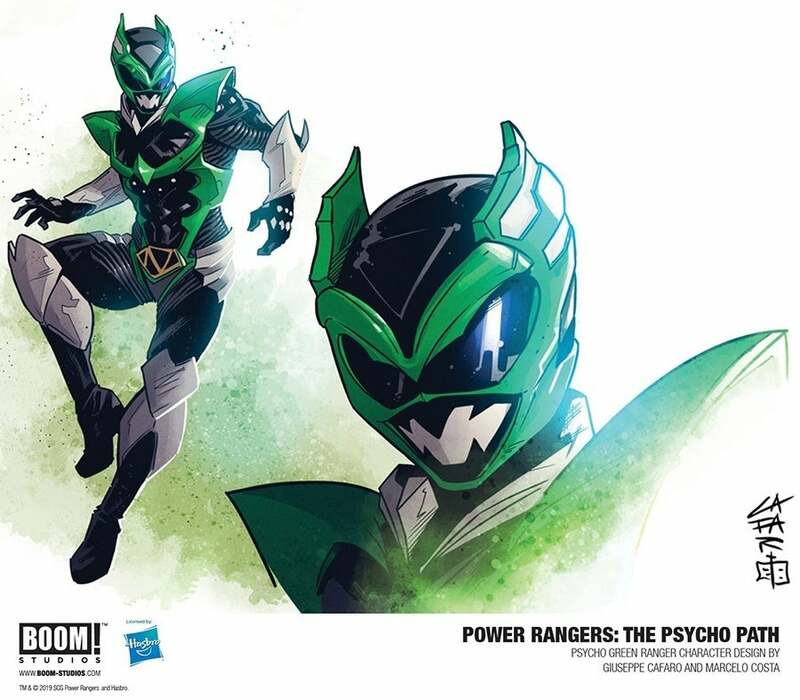 Saban's Power Rangers: The Psycho Path hits comic stores on October 9th (use comicshoplocator.com to find the one nearest you), and hits bookstores on October 15th. Hit the next slide to see more from the upcoming book and hear from writer Paul Allor and artist Marcelo Costa! 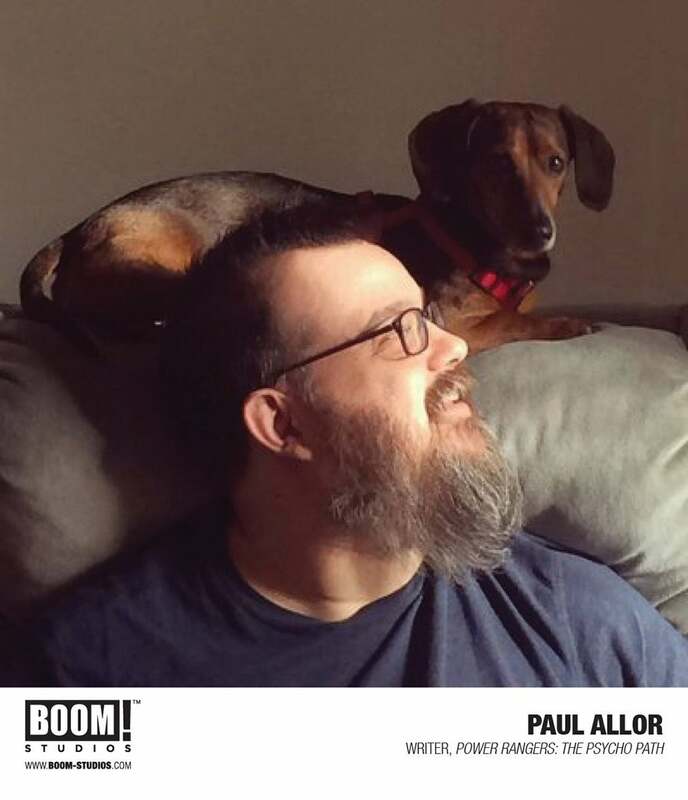 Paul Allor has written for comic book series ranging from Teenage Mutant Ninja Turtles and GI Joe for IDW to Kong of Skull Island for BOOM! Studios. He's also the author of several critically-acclaimed creator-owned books such as Tet, Past the Last Mountain, and Monstro Mechanic, and currently teaches comics writing courses through Comics Experience. "I can not wait for Saban's Power Rangers: The Psycho Path to be unleashed upon the unsuspecting populace. The entire team has worked together to create a compelling and deliciously twisted journey that will surprise and delight Power Rangers fans all along the way.” said writer, Paul Allor. “This book is not what you think it's going to be. And I suspect you'll love what it is." 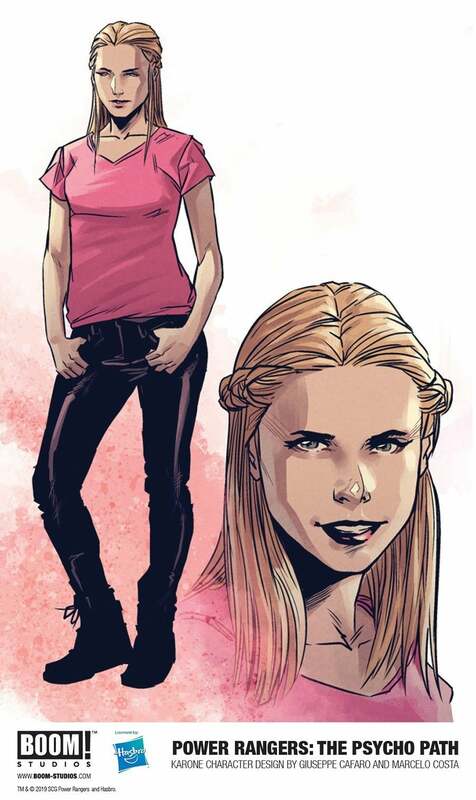 Giuseppe Cafaro is an Italian comic book artist who has worked in the industry since 2010. 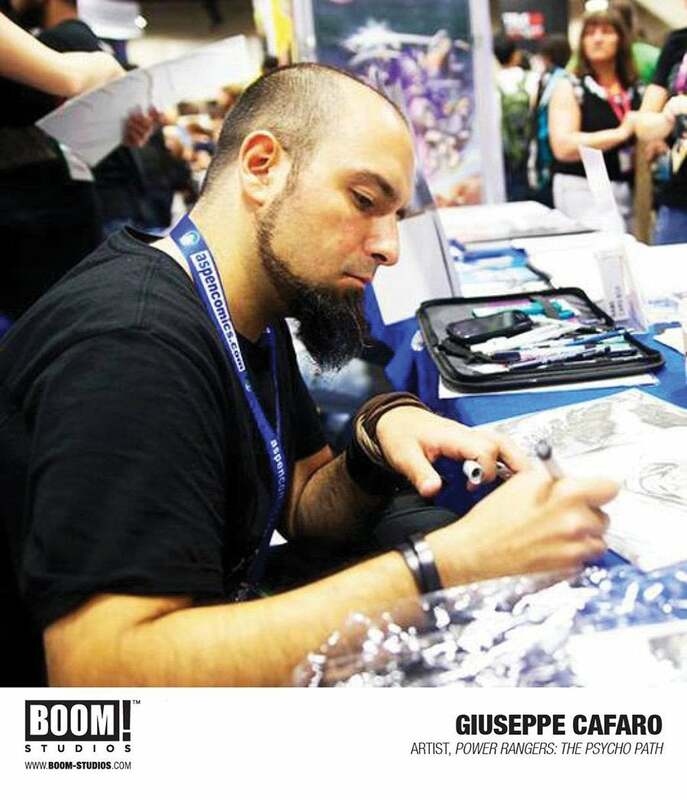 Cafaro has been the artist for titles such as Catwoman, Suicide Squad, and Superman/Wonder Woman for DC Comics, Fathom and Soulfire for Aspen Comics, and Power Rangers: Soul of the Dragon and Firefly: Bad Company for BOOM! Studios.